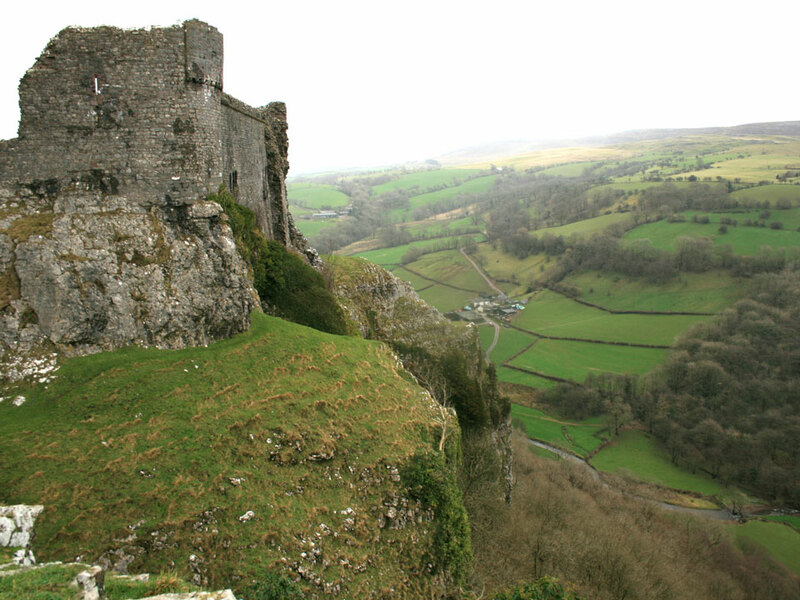 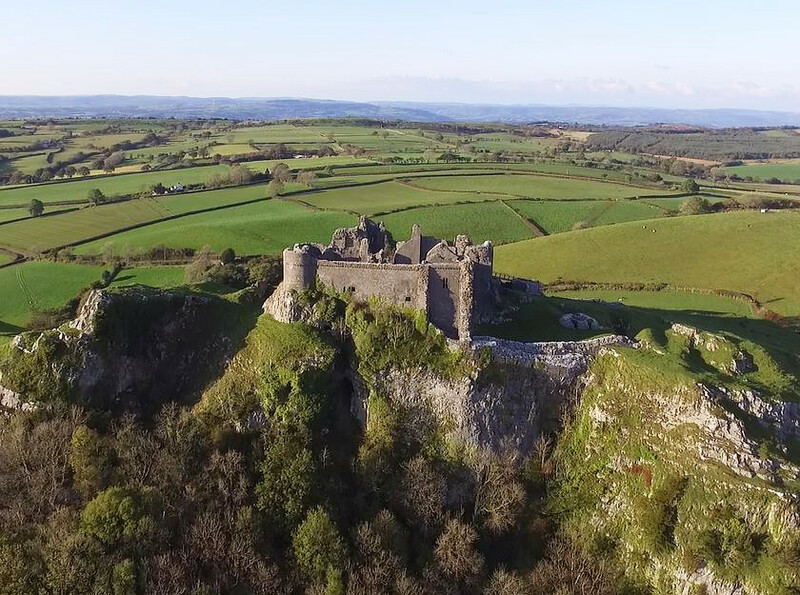 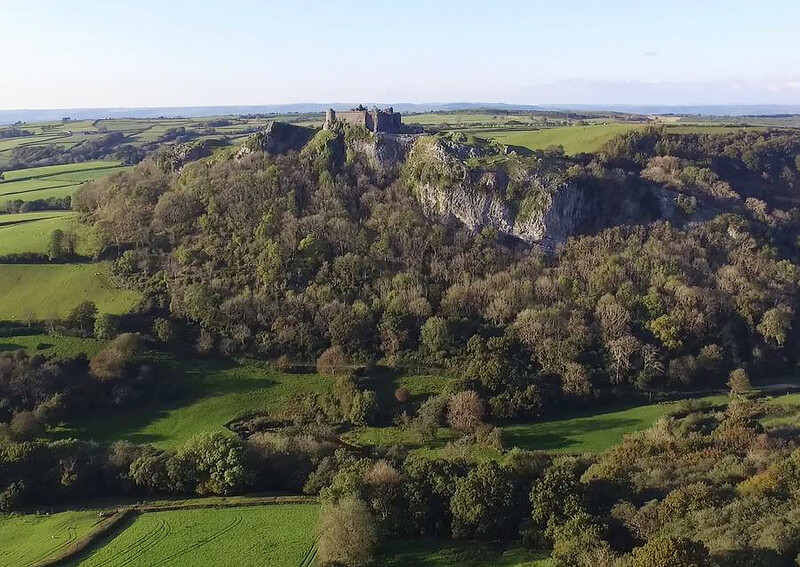 It was built in the late 13th century on the site of a Roman fort and an earlier Welsh castle, high on a 300 foot limestone cliff overlooking the River Cennan. 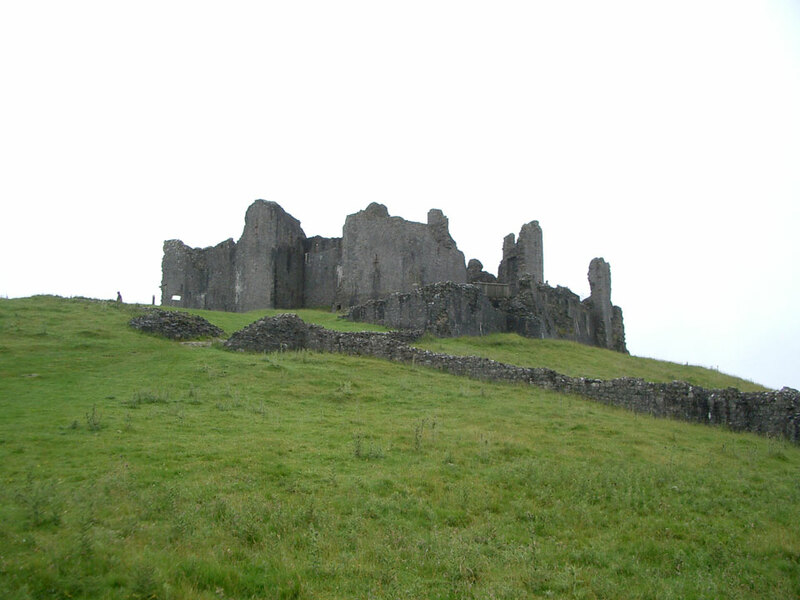 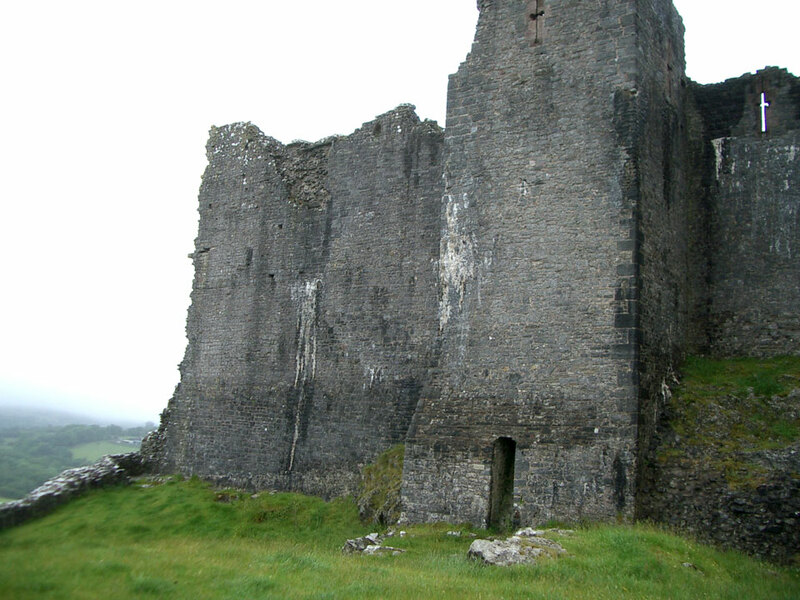 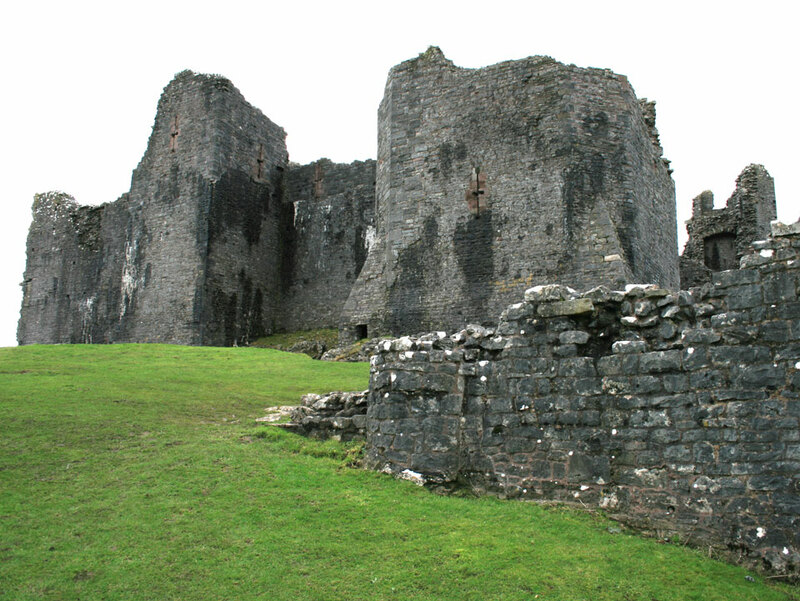 The walls were three storeys high and on the north side there was a powerful barbican between two of the corner towers. 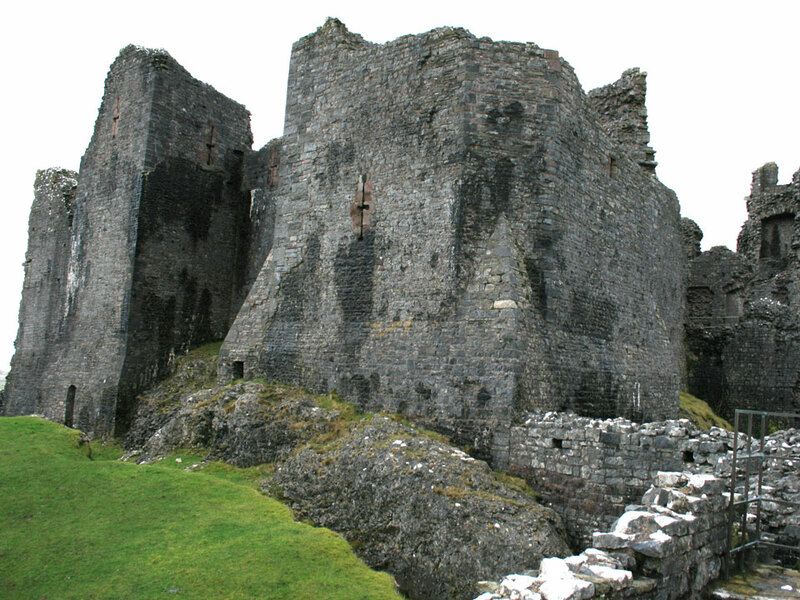 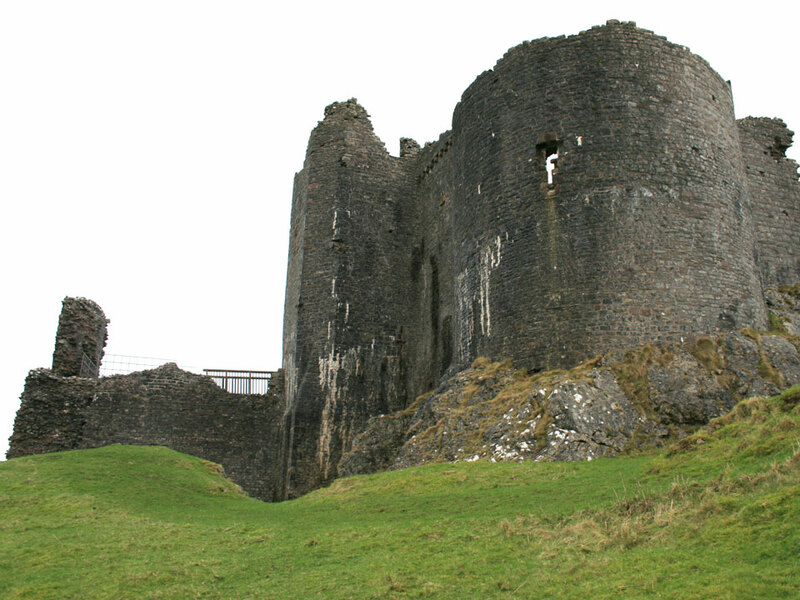 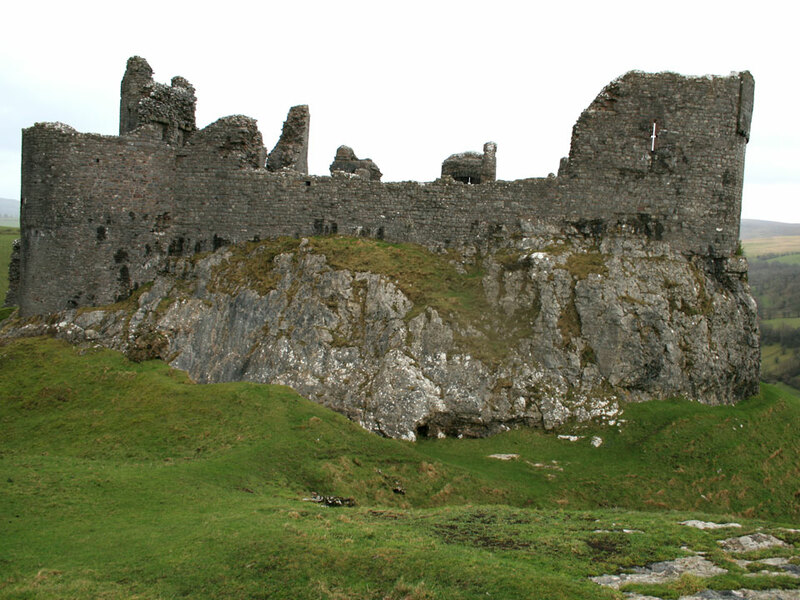 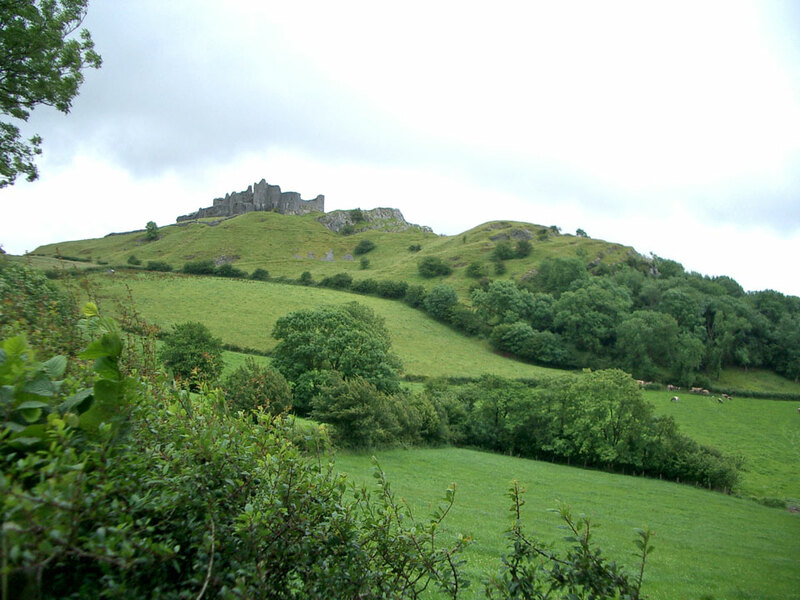 During the Welsh uprising at the start of the 15th century it was captured and once back in English hands required extensive repairs to the damaged defences. 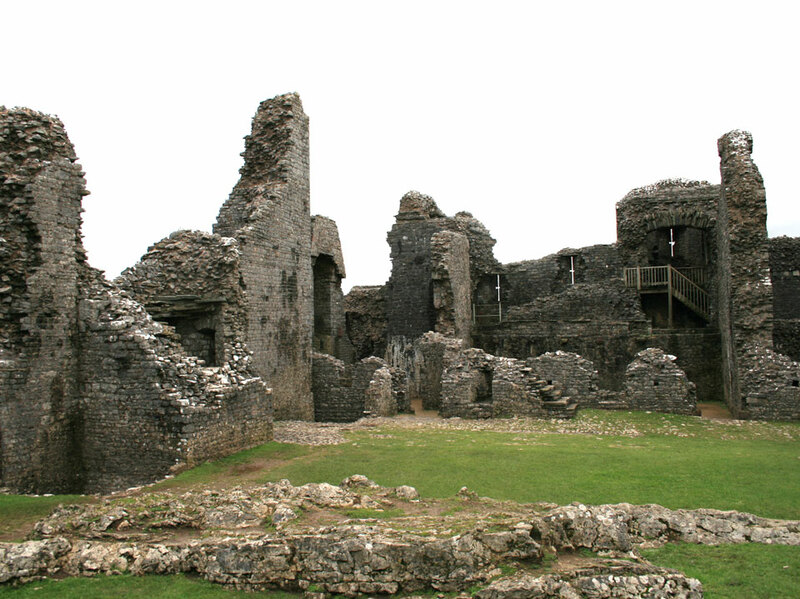 In 1462 during the Wars of the Roses it was captured by King Edward IV and afterwards a serious effort was made to dismantle it, 500 men being employed for 4 months.